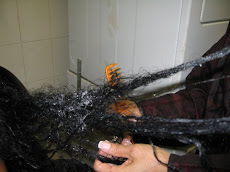 7Days A Week, 365 Days A Year We Detangle Your Hair To Prevent Hair Loss & Damage! The Director of the International Association of Trichologists, David Salinger, said persistent hair loss could result in irreversible baldness. *Contact us today to save your hair. There is HOPE and there is NO NEED TO CUT YOUR HAIR! *Contact us today to train and whether you are a hairdresser or an individual who loves hair-we want to train and recruit you to join our team of hair detanglers. Can you please tell me a little bit more about how your services work? Are they available in Austin, TX? How much should I expect to pay (approximately)? Join our team of detangle hairdressers, its a great opportunity to do rewarding work, increase your income, and travel all over the world. I took my sew-in hair extensions out. I had them in for 3 months. My braids are now matted. I've tried " Murray's Unlock Braid Spray", detangler and defrizzing oil they aren't helping. I've used hair pics and 2 different types of combs that break, (my hair, naturally is a little past my neck, very dry, course and curly) they also are ripping my hair and breaking it off. My neck and head are sore from trying to get them out.Are there any tips or anything you recommend to help? How much are your services? I'd really like to prevent ripping or cutting my hair. Attached are pictures. I cannot get the braids undone. Hello. I've had problems with depression almost all my life. It progressed as I started high school. Before ninth grade, I regularly got my hair done at my local beauty parlor (mostly before school started). I'd get it washed and straightened. I'm mixed race, so my hair is naturally very curly and hard to manage in the first place, but when it was straightened it was much easier to work with obviously. As a required class in my first year of high school, I had to take swimming. This pretty much destroyed my hair as I had to swim for pretty much half the school year. I was overcome by depression mostly because I started to rapidly gain weight and became very self-conscious. I got so sick of having to wash and deal with my hair that I basically started wearing it in a bun everyday and stopped combing it completely. As it worsened, even if I tried, I couldn't run a comb through it. It was impossible. Frankly, my hair looked very unattractive, and I'm sure you could tell I wasn't doing anything with it. Everyday before school, I would just brush the top to make it look smoother, and off to school I went. I no longer had just my weight to worry about, but now I had to deal with this tangled mess on top of my head. As I became more and more depressed and self-conscious, my grades dropped, and I pretty much lost any type of motivation to do much of anything anymore. I also lost hope that I could ever do anything except cut this matted, tangled mess. That's the last thing I want. I love my hair, and all I want to do is have it the way it used to be, straightened and shoulder length. I've tried washing it, putting loads of conditioner in it, combing it, trying different sprays but with no luck. Where I kept my ponytail holders is completely fused together. It's like a giant dread lock that takes up almost my entire head. And my bun........ Just ridiculous. It's as hard as a rock, and every time I attempt to do anything with it, I just lose more and more hope. I'm really close to just cutting it all off and wearing a wig or weave or SOMETHING. I just want it to look normal again, but I want MY OWN hair. I've never had to wear weave before, and most girls envied my long, beautiful hair. Not anymore. I'm also a color guard (one of those flag twirlers at football games), and I think a different hairstyle other than a bun may be required when the football season starts in September. I'm starting 11th grade in less than a month, and all I wanna do is have the straight, soft hair that I used to. Please help me. Is there any type of product that you could suggest that REALLY REALLY works? I've tried numerous conditioners to no avail. I've been doing some research and saw something called Take Down remover cream. It has really good reviews, but I'm not sure if it'll work for me. I'd prefer trying to detangle my hair myself too if you don't mind. I just wanna be able to comb out my hair so that I can go to the beauty shop to get my hair straightened again, but I know for a fact that as soon as they see this, they're going to tell me to go somewhere else. Sorry to write you a book here, but I'm begging for you help. I need advice quick! !